The Opal Goolsby Outstanding Teaching Award is a traditional recognition of our very best teaching on the HBU campus. Some of the best judges of great teaching are our students. Our Student Government Association conducts nominations each Spring for faculty representatives from each of our colleges and schools. A selection committee with representatives from Student Government Association, the faculty Professional Development Committee and the Provost’s Office examine the record of accomplishment for each nominee and carefully select the faculty member who best represents the ideals of outstanding teaching. We’re proud to shine the spotlight on these wonderful examples of wisdom and inspiration on the HBU campus. Opal Goolsby was a legendary faculty member at Houston Baptist College. She was a member of the original faculty in 1963 and taught English and French. With her husband, Bill, Opal had experienced a global life in a day when the presence of a woman in some sections of the globe had to be justified. She told of wonderful Middle East events where her presence at an oil contract signing with her husband in the desert, under a tent, on a Persian carpet was permitted because she had been named the guest of honor by the Sheik. She learned French at the Sorbonne when she became separated from her husband for more than a year in the political strife in Europe in the late thirties. She was a quick study and taught French the rest of her life. She was a generous, selfless teacher, who loved life and demanded the best of her students while endlessly offering them her encouragement and assistance. Dr. Garbarino’s “Augustine, Donatists, and Martyrdom” appears in An Age of Saints? Power, Conflict and Dissent in Early Medieval Christianity, edited by P. Booth, M. J. Dal Santo and P. Sarris (Leiden: Brill, 2011). He has written for a number of popular publications, including Touchstone, First Things, and The Federalist. 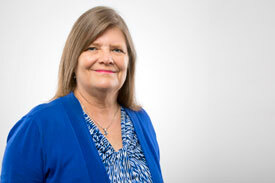 Dr. Horn has been awarded HBU’s Opal Goolsby Award for exemplary teaching for the second time. Horn, who joined the HBU faculty in 1987, views learning as a partnership: “I share this award with my students who have helped me become a better teacher. Learning is a collaborative effort, and it is a joy to share my gifts and experiences with them. My treasures abound, filled with memories of students who grow and flourish into wonderful people who make a difference in many lives,” she said. Horn received the Goolsby Award for the first time in 1999. Dr. Davis completed his third year of teaching at HBU in May 2013. He earned his PhD in History from the University of Exeter, where he completed research on the English Reformation and the early printing trade. 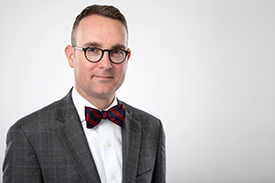 Dr. Davis has been teaching undergraduate courses in Western Civilization and European history as well as graduate courses in the MLA during his time at HBU. Professor J. Daryl Hinze completed his third year of teaching at HBU in May 2012. 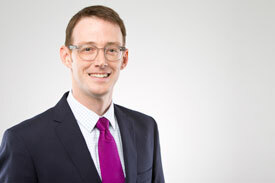 He demonstrates an original teaching style combined with examples of real-life experiences in his Business Law, Business Ethics, Legal Environment of Business and Tax Procedure courses. He was recently recognized as the HBU Outstanding Advisor of the Year and Piper Nominee from the School of Business. 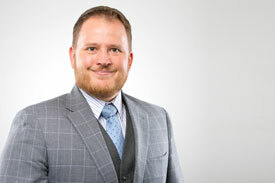 Professor Hinze earned a Bachelor of Arts and Master of Arts in Philosophical Theology from Criswell College and a Doctor of Jurisprudence from the University of Houston Law Center. Dr. Pinaire has just completed her second year in the College of Science and Math. She has earned her B.S. in Biomedical Engineering from Saint Louis University and her Ph.D. in Molecular Biology and Cancer Biology from The University of Texas Graduate School of Biomedical Sciences at Houston. Her teaching focus is on general biology including botany, animal systems and anatomy and physiology. Dr. Pinaire has been teaching general biology and anatomy/physiology courses during her time here at HBU. She is a dynamic instructor and very successful with engaging students in complex material and rigorous study. 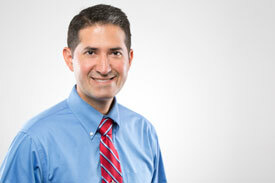 Dr. Trevino completed his second year of teaching at HBU in May 2010. Prior to coming to HBU, he spent a year teaching at Blinn College. Dr. Trevino earned a B.S. in Biochemistry from Texas A&M University and a Ph.D. in Medical Sciences with an emphasis in protein chemistry from the Texas A&M University System Health Science Center. He is very active with the chemistry students here at HBU as sponsor of the Lion’s Club and the Dead Chemists Society.